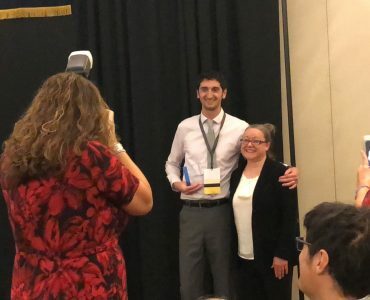 3J Civil Engineer Chase Welborn, PE, was recognized by the American Public Works Association (APWA) Oregon Chapter as a Young Leader. 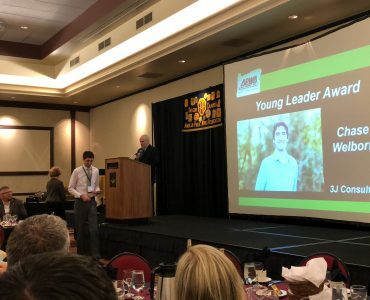 The award is presented at APWA OR’s Fall Conference to recognize young APWA members who have demonstrated commitment to the profession and show potential for future growth within the association. 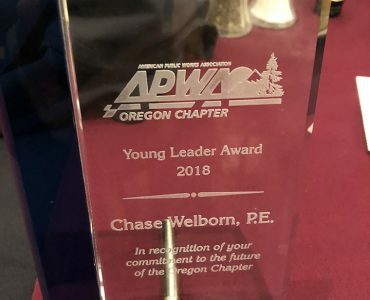 Chase was honored with this award for the leadership roles he holds at 3J and within the APWA OR Chapter. At 3J, Chase is a Civil Team Lead who not only manages and mentors civil engineering staff, but also contributes to 3J’s overall success and growth by assisting in the IT and HR needs of the company. 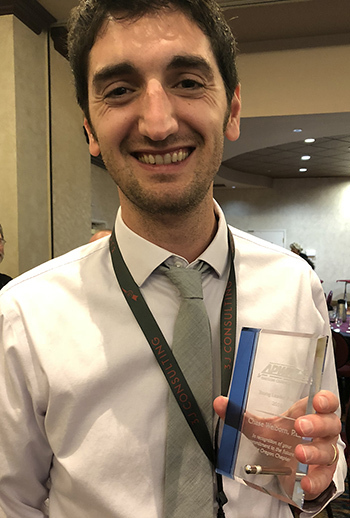 Chase is the APWA OR Young Professionals Committee Chair where he coordinates events to encourage young professionals to get involved with APWA. Congratulations on this well deserved recognition, Chase. We are proud of you!